The Newmans » Blog Archive » A kangaroo with bite! This sign gave us one of the biggest laughs of our trip. Just a few doors down from our Bao Khanh hotel in Hanoi was the Kangaroo Cafe. 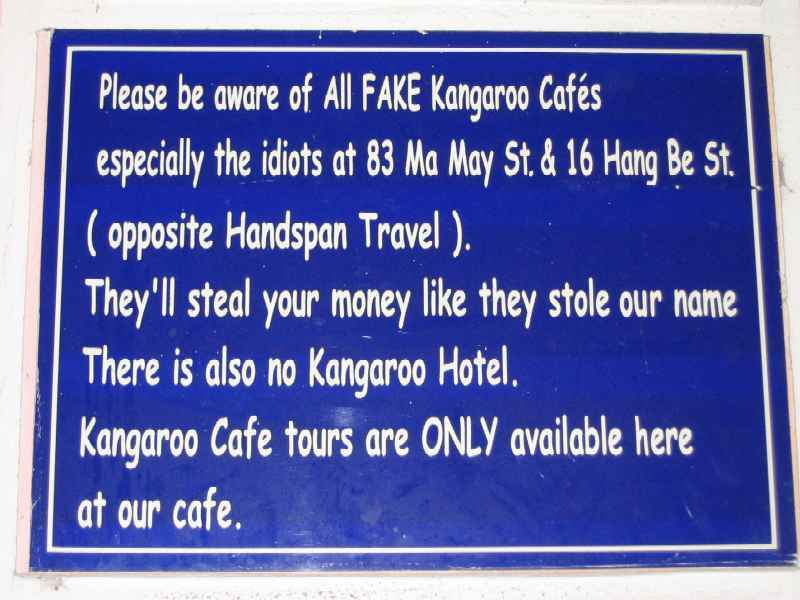 Clearly this was one cafe not to get confused with other Kangaroo Cafe's in Hanoi!